Immanuel Kant was one of the most famous philosophers of his era. He wrote the famous, 'Critique of Pure Reason'. Check out this biography to know about his childhood, family life, achievements and fun facts about him. Immanuel Kant was a famous Prussian philosopher. He was a professor of philosophy at Königsberg, in Prussia and spent his life in researching, lecturing and writing on philosophy. His most famous work was the “Critique of Pure Reason”, which he wrote to combine reason with experience to move beyond the failures of traditional philosophy and metaphysics. With his philosophical views, he gave reasoned arguments against the scepticism and idealism of thinkers like Descartes, Berkeley and Hume. He also wrote important works in other areas such as religion, law, aesthetics, astronomy and history. His ideas and works influenced many German thinkers of his times. Kant had settled, and taken philosophy beyond, the argument between the rationalists and empiricists. 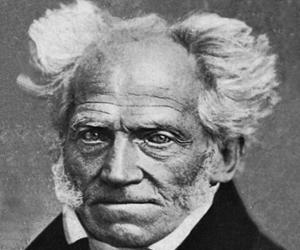 His philosophy was amended and developed by future philosophers like Fichte, Schelling, Hegel and Schopenhauer. Kant had made for himself an important place in the history of philosophy. His important works include 'The False Subtlety of the Four Syllogistic Figures', 'Groundwork of the Metaphysics of Morals', 'Metaphysical Foundations of Natural Science', 'Critique of Practical Reason' and 'Critique of Judgment'. 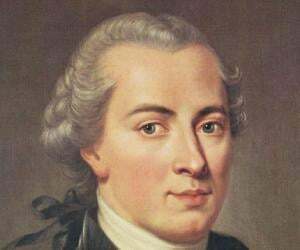 Immanuel Kant was born on April 22, 1724, in Königsberg, then an important city under the Kingdom of Prussia. Since the end of the Second World War, it has become part of the Soviet Russia and renamed as Kaliningrad. Since Old Prussian Almanac associated his date of birth with the name "Emanuel", he was baptized as such. Much later, he changed his name to Immanuel, because he thought it was more faithful rendition of the original Hebrew word. His father, Johann Georg Kant, was a master harness-maker in Königsberg. Originally from Tilsit, he moved to Königsberg, where he married Emmanuel’s mother, Anna Regina Kant nee Reuter. Since she was the daughter of another master harness-maker, the marriage helped Johann to get membership of the guild. Immanuel was born fourth of his parents’ nine children, having three sisters and one brother surviving into adulthood. Out of his surviving sisters, one was elder to him by five years while two others were much younger. His surviving brother, Johann Heinrich, was younger to him by eleven years. Immanuel had highest regard for his parents, who were initially quiet affluent. Later they lost much of their wealth; but were never in debt. Belonging to the Protestant sect of Pietists, they stressed on devotion and humility, concurrently providing a warm and supportive environment that helped him to grow self-confidence. From his parents, Immanuel also learned the importance of hard work, honesty, and independence and the value of money. Later, he had proudly declared that while his parents did not leave him money, they did not leave him any debt either; but prepared him for the world. Beginning his elementary education at a local school connected to the Saint George's hospice, Emmanuel entered Collegium Fredericianum in the summer of 1732. Run by their pastor, a Pietist, the school put more stress on religious education and Latin than on mathematics and science. From 1732 to 1740, living under harsh discipline and very little freedom, Immanuel led a near regimental life. Six days a week, he had to walk miles to attend school at 7 AM. Again at 4 PM he walked back home only to have a huge amount of home work waiting to be finished. Sundays were no better for on those days, he had to attend church and then go for his catechetical exercises. Life became even worse after his mother died in 1737. It is no wonder that Kant did not consider his school years to be the best. While in school, studying with his Latin teacher, Heydenreich, he managed to develop an appreciation for Latin literature. Together with his two friends, David Ruhnken and Johannes Cunde, he began to read the works of classical authors, supplementing the list provided by the school. By the time he finished his schooling, Immanuel Kant was well qualified for university education in theology, law, philosophy, or the classics. On 24 September 1740, he entered the University of Königsberg, possibly with theology; but very soon, his interest turned to philosophy, mathematics and physics. Studying with Martin Knutzen, a rationalist, familiar with the development of British philosophy and science, Kant was introduced to the works of Gottfried Leibniz, Christian Wolff and Isaac Newton. Knutzen also cautioned him against theory of idealism and of pre-established harmony. In 1744, he started working on his first book, ‘Gedanken von der wahren Schätzung der lebendigen Kräfte’ (Thoughts on the True Estimation of Living Forces). However, he would take quite a few years to complete it. His father died in 1746. As the eldest son, it fell upon him to provide for his younger siblings. He next tried to obtain the post of under-tutor in one of the university schools, but failing to do, he withdrew himself from the university shortly after August 1748. From 1748 to 1754, Kant worked as a private tutor in three different families living in Judtschen, Arnsdorf, and Rautenbu. It gave him the opportunity to be introduced to the higher society and acquire social grace. Meanwhile, he continued with his scholarly pursuit. In 1749, he had had his first book, ‘Thoughts on the True Estimation of Living Forces’ published. 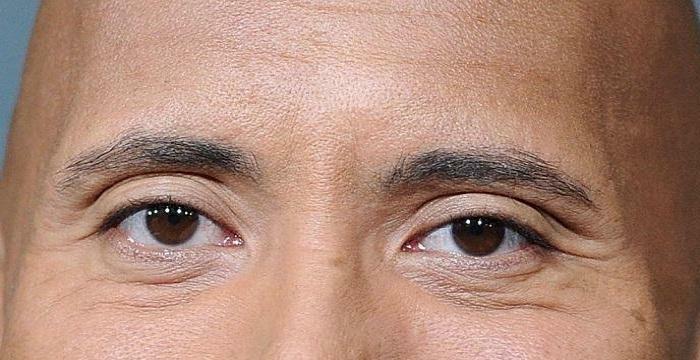 Sometime later, he also made an important astronomical discovery about the nature of Earth's rotation. In 1754, it earned him the Berlin Academy Prize. In 1755, he had one of his most important works published. Entitled 'Allgemeine Naturgeschichte und Theorie des Himmels' (General Natural History and Theory of the Heavens), the work tries to establish that the sun and the planets was formed from a single gaseous substance due to gravitational interaction of atoms. Also in 1755, he returned to the University of Königsberg to complete his education, submitting his dissertation entitled ‘Meditationum Quarundam de Igne Succincta Delineation’ (A Brief Outline of Some Meditations on Fire). It earned him his Magister degree on June 12. On September 27, 1755, he submitted his next dissertation entitled ‘Principiorum primorum cognitionis metaphysicae nova dilucidatio’ (A New Exposition of the First Principles of Metaphysics). With it, he was appointed Privatdozent at the university. As Privatdozent, Immanuel Kant was neither allowed to teach university courses nor use university halls. Nor did he receive any salary. As per tradition, a privatdozent was required to collect fees from the students attending his lectures. Therefore, his earnings depended solely on the number of students attending his lectures. From the beginning, he was a popular lecturer, punctuating his talks with wit, as a result of which his lecture hall was always nearly full. However, he demanded attention, never repeating anything and discouraged note taking because he believed that note-takers generally leave behind important points. Initially, to maintain himself, Kant had to give many lectures. In the winter on 1755-56, he taught logic, metaphysics, mathematics, and physics. In the summer of 1756, he also started lecturing on geography, adding ethics in the next winter. In 1756, he unsuccessfully applied for the position left vacant by the death of his erstwhile professor Martin Knutzen. Once again in December 1758, when the position held by Georg David Kypke fell vacant he applied for it; but this time too he was declined. In spite of repeated failure to obtain paid position, his reputation as a scholar and teacher continued to rise. Continuing to publish many important papers, he also began to climb the social ladder, being regularly invited to the dinner by Count Keyserlin, growing a closeness that would last thirty years. By 1762, Kant was still a privatdozent. But his situation had improved so much that he declined an offer to join the post of the Professor of Poetry at Berlin, preferring to remain at this home city, lecturing more than twenty-six hours a week. In 1764, he published ‘Beobachtungen über das Gefühl des Schönen und Erhabenen’ (Observations on the Feeling of the Beautiful and Sublime1764. It sold very well, establishing him as a popular author. Yet, full professorship continued to evade him. Finally on March 31, 1770, Kant was appointed Professore Ordinano der Logic und Metaphysic at the University of Königsberg. In the following August, he defended his appointment with inaugural dissertation ‘De Mundi Sensibilis atque Intelligibilis Forma et Principiis (On the Form and Principles of the Sensible and the Intelligible World). Soon after publishing his inaugural dissertation, Immanuel Kant underwent a change. From 1771 to 1781, he not only refrained from publishing any major work, but also kept totally aloof. His friends’ endeavors to drag him into social conversation and events met with polite refusal. Finally in 1781, at the end of this ‘silent period’, he published the first edition of ‘Kritik der reinen Vernunft’ (Critique of Pure Reason). Surprisingly, the book met with lukewarm response and was more or less ignored. Although disappointed Kant, realized that he needed to clarify the original treaty. Therefore in 1783, he published ‘Prolegomena zu einer jeden künftigen Metaphysik, die als Wissenschaft wird auftreten können' (Prolegomena to any Future Metaphysics), summarizing the main view of the ‘Critique’. Kant now began to publish number of seminal works, such as ‘Beantwortung der Frage: Was ist Aufklärung?' (Answering the Question: What Is Enlightenment, 1784?) and 'Grundlegung zur Metaphysik der Sitten; ' (Groundwork of the Metaphysics of Morals, 1785). Slowly his fame as a noted philosopher began to rise. Another important work of this period is, ‘Metaphysische Anfangsgründe der Naturwissenschaft’. Published 1786, the book led to the opening of science departments in many universities across the German-speaking countries in the following century. Also from 1786, Kant’s views began to get priority in a public debate on the value of enlightenment. 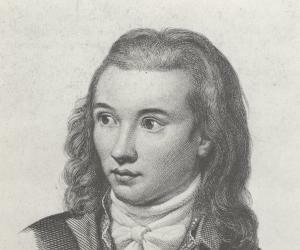 Karl Leonhard Reinhold maintained that Kant’s ‘Critique of Pure Reason’ provided an answer to such debate, making Kant popular even among the masses. In 1787, Kant published a revised version of ‘Critique of Pure Reason’. It was followed by two more critiques, 'Kritik der praktischen Vernunft' (Critique of Practical Reason), published in 1788 and 'Kritik der Urteilskraft' (Critique of Judgment) published in 1790. Continuing to write almost till his death, Immanuel Kant published ‘Die Religion innerhalb der Grenzen der bloßen Vernunft' (Religion within the Bounds of Bare Reason) in 1793. Originally written as a series of four journal articles, the first piece was published in April 1792. When he tried to publish the second piece, it met with objection from the King’s censors. Therefore in 1793, he published all four in book form, routing them through the philosophy department of University of Jena. Although this way he evaded censorship he was reprimanded by the King. The book became extremely popular and in 1794 he published its second edition. This time he was barred from publishing on religion or even speaking on it publicly. Nonetheless the book had lasting influence on history of theology and philosophy of religion. In 1797, Kant published his last major work, 'Die Metaphysik der Sitten' (The Metaphysics of Morals). Thereafter though his health failed rapidly, he continued to write. 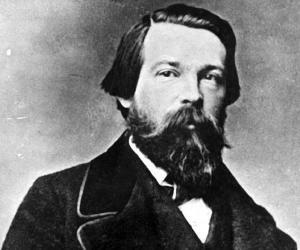 His unfinished final work was published posthumously as ‘Opus Postumum’. 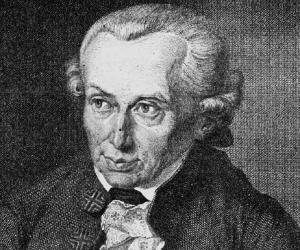 Towards the end of his life, Kant’s health began to fail rapidly. He also lost his memory, a fact that embittered him most. As he never married and did not have a family of his own, his sister Katharina Barbara took care of him until his death on February 12, 1804. Originally, he was buried inside the Königsberg Cathedral. In 1880, his mortal remains were removed and placed outside in a neo Gothic chapel adjoining the northeast corner of the Cathedral. In 1924, the chapel, which had by then become dilapidated, was replaced by a mausoleum. In 2005, the University of Königsberg was renamed as Immanuel Kant State University of Russia.